A fire at Kuwait's 200,000 barrel-per-day Shuaiba oil refinery on Monday led to its total shutdown but there were no casualties, an official at state refiner Kuwait National Petroleum Company (KNPC) said. Ahmed al-Jemaz, acting chief executive, said in a statement on the company's Twitter account that a fire at the heavy oil cracking unit at Kuwait's smallest refinery had been brought under control. "No injuries were recorded so far. All the refinery's units have been shut down and all employees were evacuated as a precautionary measure," Jemaz said in a statement. He said firefighters and emergency teams were on high alert. A KNPC source told Reuters because of refined products in storage, the country's exports deals would not be affected by the shutdown. It was too early to say when Shuaiba would be back to full operations and authorities would investigate the cause of the fire, the source said. An industry source had told Reuters earlier that there was an explosion at Shuaiba. OPEC member Kuwait has three refineries with a combined capacity of 930,000 bpd. The ageing coastal Shuaiba refinery in southern Kuwait, commissioned in 1968, is due to be mothballed after the new 615,000-bpd Al-Zour refinery comes on line by 2019. Shuaiba refinery produces light, medium and heavy products, including gas, ordinary naphtha, gasoline, kerosene, fuel oil and diesel. 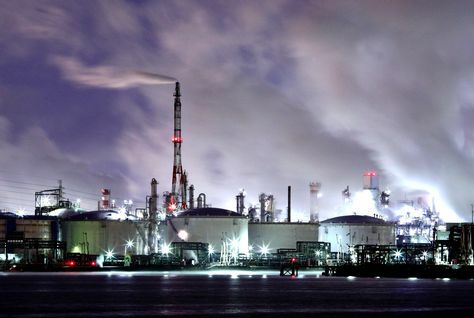 Shuaiba produces around 2 million tonnes of gasoil and another 2 million tonnes of jet fuel, another industry source said, adding that while he did not expect much impact on gas oil exports, supplies of jet fuel could be disrupted.